For additional historical context on these families, please read the preceding essay, “The One Drop Rule Revisited” ! NOTE FROM MODERATOR: Wallace Jarrell’s research on the descendants of Diza Ann Maness McQueen, identified in records as white, and her husband, Wilson Williams, identified as mulatto, reveals that many of our common understandings of “race” lack an objective scientific basis. Also revealed are some common characteristics of families defined by nineteenth-century law as “black” regardless of the color of their skin. Despite legal definitions imposed by society, most of Diza Ann and Wilson Williams’s children defined themselves as white and raised their children as such; yet, at least of two of those children identified as “black”. DNA evidence, Wally shows, only complicates the question of the Williams’s racial identity. What we do know is that nineteenth-century notions of what constituted a “person of color” forced Wilson Williams to “pass” for black regardless of his DNA. I am a descendant of Diza Ann Williams, and probably Wilson Williams. My great-grandfather, Sampson Williams, was the fifth known child of Diza Ann. His daughter, Margie Reen Williams Jarrell, was my grandmother. Her son, Herman Claude Jarrell, was my father. Early in my genealogy research, which began in 1978, I ran into a brick wall in regard to my great-grandfather, Sampson Williams. I found his 1879 marriage license from Montgomery County, NC, which listed him as the white son of Diza Williams and “unknown.” I couldn’t seem to find him in the federal manuscript census before he was married, but I did find a black family that had similar names as his and his mother’s. So I questioned my grandmother’s only remaining sibling, Aunt Ida, about Sampson’s family. She was evasive, telling me that she couldn’t remember her father having family. Eventually she told me that he had “people” that lived near Worthville, NC. Some locals who remembered Sampson called him “Samps Wilse” for short. Ida told me not to call him Samps Wilse, because that would make him black. This statement seemed strange, but eventually convinced me to look again at the black Williams family. In various censuses, I noticed that the Diza/ Dicey/ Disey, lived with a son named Sampson and was sometimes listed as black, sometimes white, sometimes mulatto. I decided to try to track down descendants of this Williams family. 1. Daniel, born about 1855. I know very little about him thus far. 2. William M. Williams, a twin to Daniel. He married in Montgomery County and gave his mother’s name as Diza Williams and his father as “unknown.” His death certificate lists his father as Wilson Williams and mother as Eliza Manors. There was a Diza Maners listed in the 1850 census. He and his wife went as white and lived in Vance County, NC in later years. 3. David D. Williams’ death certificate reported his birth date as 5 October 1854. He first married a Montgomery County woman by whom he had children. He and his brother Sampson were known to fight with one another, and were arrested at least once for doing so. David divorced and moved to Robeson County, NC, where he remarried and had other children. By 1900, he and his second family were living in Cumberland County. Wilson was living with them, and was listed as David’s “step-father.” David went as white and remained in that area, which is part of Lumbee Indian territory. Wilson Williams may have had Lumbee connections. Earlier, while living in Montgomery County, Wilson was deeded land together with a Shadrach Williams, who I have not identified. Later, Shadrach was listed in the census as living with a man named Locklear, a common Lumbee surname. It’s possible that Wilson was of Lumbee descent and that he may not have had African ancestry. In the nineteenth century, however, mixed people of Indian or African descent were generally identified by census enumerators as “black” or “mulatto”. 4. 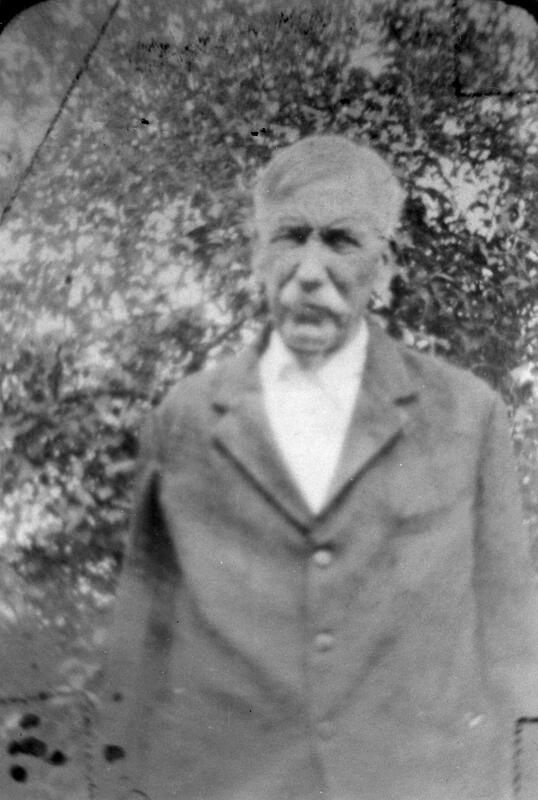 Sampson Williams, my great-grandfather, was born in 1859. He went as white, married a white woman, and appeared white for the most part. I have seen a couple of descendants who had a slight amount of color in their complexion, but displayed no other traits indicating African descent. Sampson apparently had little to do with his siblings. He was ill-tempered, often in trouble with the law for fighting, drinking, etc. ; he once cut a man, almost killing him. He fled to Florida to hide out for a time, then came home and served some time in jail. I believe he saw a hard life because of his family history. Sampson registered to vote in 1902, giving his ancestor as James Maness. Some of the Manors/Maners/Mainors family became known later as Maness. Sampson Williams died in 1929. 5. Sarah Williams, born about 1861, seems to have disappeared after the 1880 Census, where she was listed as white and boarding with a Freeman family. 6. Margaret Ellen Williams was born 7 August 1866. She never married, but had two children. She stayed for a while with her half-sister, Mary Ann, then moved to the Worthville, NC, area. She went as white, but appeared to have some African ancestry. Her descendants are all white in appearance. She died in 1921. 7. John Williams was born about 1867. I have nothing firm on him, although I am pursuing some leads at this time. 8. Moses Williams was born 22 June 1869, and was listed as mulatto in the 1880 Montgomery County Census. He was married in 1892 in Richmond County, NC, to a black woman. His marriage license identifies his parents as Wilson and Disey Williams. His family later moved to Laurinburg, in Scotland County. He lived as black, though his descendants say he had light skin and green eyes. He died in 1949. 9. Marshall Williams was born in 1873 and remained in Montgomery County. He married a black woman and is buried in a black cemetery. He had one son who never married and died in Maryland. Marshall went as black, but relatives remember that he was very light skinned. His death certificate lists his father as Wilson Williams and his mother as Diza Williams. A side note, I had my father take a DNA test a few years ago to determine his racial background. I expected it to show either mostly white European heritage with a small amount of African, or mostly white with a small amount of American Indian. I was surprised when the test came back showing mostly white European with a small amount of EAST ASIAN. After further study, I learned that some Indians are descended from Asiatic people who migrated here centuries ago. The granddaughter of Margaret Ellen Williams took the same test, and her results show mostly white European, with a small amount of American Indian. One interesting occurrence during my research: I have become good friends with Margaret Ellen Williams’s descendants, and once, while we were looking through their family photos, they showed me one person that they could not identify. I immediately knew who it was, and when I turned it over, it had the name Ida Esco Williams written on the back. 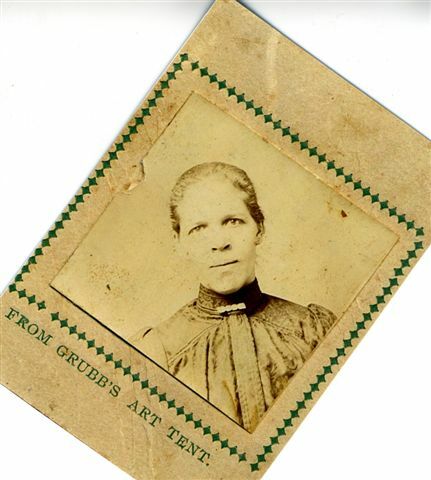 This was the same Great-Aunt Ida from whom I had tried to gain information about our Williams ancestry! In your research have you made any Williams connections in Scotland County NC/Marlboro County SC areas. Wilson’s next to last child, Moses, married a black woman, Easter McLaurin, from Richmond County, NC on 26 March 1892. She was born in Richmond County to John and Flora McLaurin. It appears that they obtained the marriage license in Richmond County, but the marriage apparently took place in Stewartsville Township in Scotland County. 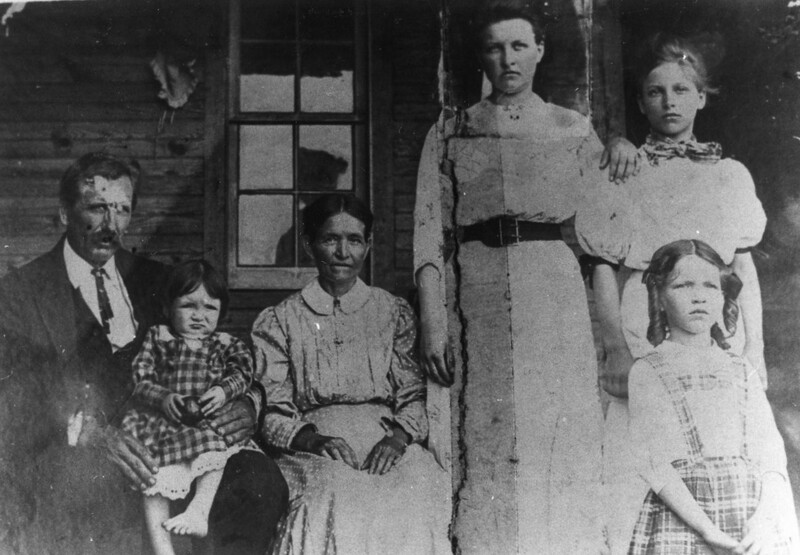 By the 1900 census they were living in Laurinburg, Scotland County, where they remained for their lifetimes. Wilson’s son or step-son David’s second marriage was to a Mary Ann Frances Wilkes, who’s family seems to have originated in Scotland County. She is buried just over in Richmond County at Marks Creek Presbyterian church. To Wally Jarrell – I am not familiar with blog maneuvers or etiquette, so please forgive me if I blunder. My grandfather, David Young Hoover, b. 1830 in Randolph Co., NC, left NC for Grant Co., Indiana around 1860. He joined the Union Army in Sept. 1861 and was mustered into the 34th Indiana Infantry Regiment, Company F. So far I have been able to find only scant and inconclusive evidence of his brothers’ service in the CW. His brothers were William H. Hoover, b. 1832, Alson Young Hoover, b. 1837, Isaac Hoover, b.abt.1839, Andrew S. Hoover, b.abt. 1842 and Alexander A. Hoover, b.abt.1844. All wer born in Randolph Co. Can you point me in a direction where I might find CW service references for these ancestors? Thank you very much. It so happens that I recently spoke to a Hoover family reunion in Randolph County, and talked a little about some of the Hoovers who served from Randolph. Of the Hoovers I found, there was Benjamin F. Hoover, who was Clerk of County Court and Justice of the Peace, serving under the Confederate govt. He applied for a pardon after the war. Joseph Hoover was Superintendent/Inspector at the first CSA election. Alfred Hoover served in a Captain Keeran’s company. A Henry E. Hoover is found in two separate records Co. F, 2nd Battalion Infantry, and Co. K, 63rd Infantry. I believe this is the same person, serving at two different periods. 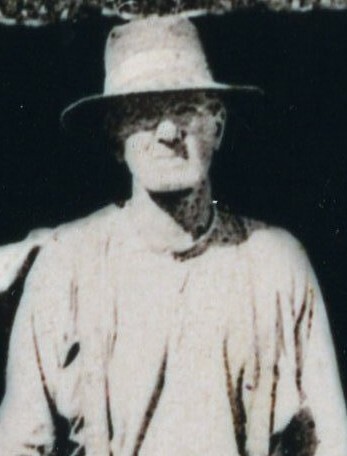 A William M. Hoover was employed at the Confederate Salt Works, near Wilmington at some point. Also a William Hoover resided in Randolph County, when he enlisted, giving his age as 36 in Co. B, 52nd Infantry on 22 June 1863 in Wake County for the war. He was captured at Bristoe Station, VA on 14 OOct. 1863 and was confined at Old Captol Prison in Washington, DC, and transferred to Point Lookout, MD on 27 Oct. 1863. He remained there until being released on 25 Jan. 1864 after taking the Oath of Allegiance and joining the US Army. He was placed in an unspecified unit. near Battery Anderson, near Fort Fisher on 25 Dec. 1864 and confined at or near Ft. Monroe, VA on or about 27 Dec. 1864. He was transferred to Point Lookout, MD, arriving thereon 2 Jan. 1865. He remained there until his release on 13 June 1865 after taking the Oath of Allegiance. It looks as if he left the Salt Works as it was being shut down, and either joined the 42nd Regt. or was caught up in the enemy attacks on Fort Fisher. As far as references go, the very best source for NC soldiers is the set of books “North Carolina Troops 1861-1865: A Roster,” published by the NC Divison of Archives and History. It is available in many public libraries. Since the set is not yet finished, however, there is no general index. You have to search the index of each volume. This is why I point researchers to another set of books entitled “North Carolina Confederate Soldiers 1861-1865,” published by Broadfoot Publishing Company. It is an alphabetical index of NC soldiers. Use this first to find all the soldiers with the same name, then use the other books to research each man. Mr. Jarrell, My 3x Great-grandfather is William M. Hoover. He was a member of the 52nd Regiment North Carolina Infantry, and I’m thinking must be the same William Hoover who was confined until 1864. I am trying to gather as much information on his service, and as I can on him and his personal history. I’ll check out the books you’ve listed above, but if you have any additional resources, please let me know. Thank you. I am James Gordon McLaurin I have already located my relatives in South Carolina, but my cousin Lisa McLaurin is from Laurinburg and would love to know their forefathers. I am afraid I don’t know anything about the McLaurin’s beyond Easter McLaurin (which could actually be Esther). If you have more information to go on, you might try Ancestry.com. Hi Wally! Do you know anything of Diza’s parents and of any siblings? Hi Amy, I don’t know absolutely for certain about Diza’s parents. Diza’s son, Sampson, my great grandfather, registered to vote in 1902 and listed his ancestor as James Maness. I have done some DNA testing and compared with other known Maness families, and did searches and comparisons of censuses to find a James Maness that fits. The one and only James Maness that meets the criteria, and also matches the genetic profile, is James Maness, born 1788 in Moore County, NC, the son of Ambrose and Katherine Hunnicutt Maness. This James apparently moved to Montgomery County. He and his unknown spouse had about 9 children, some of whom have not been identified by name. I am almost certain that Diza was one of his daughters, by the foregoing evidence. The other named children were: Andrew, Franey Agnes, John, Daniel, Joshua Wayne, and Elizabeth. There were two unknown daughters and one unknown son. I believe Diza is the younger of the unknown daughters. Thank you, Wally! This is good info to know. I will continue to research myself. If I find anything new, I’ll be sure to let you know! Merry Christmas and Happy New Year to you and your family! How fitting that Diza likely had connections to the Unionist community of Moore/Montgomery/Randolph Counties! To anyone who might be interested, I have two additional pieces of information about the Diza Williams family. In my original post I mentioned my father taking a DNA test which indicated White ancestry, with a small amount of East Asian, which I thought might be Indian. The test was one of the older, less accurate tests. Since that time I took the Ancestry DNA test, and when I first got my results, it showed mostly English, Irish and East European ancestry, with a small amount (about 4%) Iberian Peninsula. Knowing my mother’s side well, I thought that maybe this was where Wilson’s ancestry lay, in the area of Portugal. There was no African ancestry in either my fathers or my DNA. However, more recent updates removed even that Iberian Peninsula percentage from my charts. So, now I am thinking that Wilson may not have been the father of my ancestor. Maybe he only reared him. I also am getting hints of a connection to a local LEACH family in that area, so perhaps Diza had another unnamed partner who fathered some of the children before Wilson Williams came into the picture. I have also had the good fortune to track down Diza’s son Daniel, whom I have little luck with before. I discovered him gettin married in Tazewell County, Virginia on 3 August 1889 to Martha Smith, both of them listed as “colored.” He gave his birthplace as Montgomery County, NC, and his parents as Wilson and Eliza Williams. The marriage license also stated that he was “widowed” so he must have had a previous marriage I have not been able to find. He remained in that area the rest of his life, went as Black, and worked at the Pocahontas Coal Mine. He seems to have died after 1920, but I have not established when or where he is buried. The Thomas P. Manesss talked about in the article was a 2nd cousin of the James who I believe was Diza’s father. Thomas P. and Diza’s grandfathers were brothers, Abednego and Ambrose. Thomas P.’s father was Isaac, and Isaac’s father was Abednego Maness. Diza’s probable father was James, James’ father was Ambrose Maness. I checked my DNA against Thurman Maness’ DNA, and we do have a connection. This is fascinating new information, Wally, and it’s great to hear from you after all these years! I’d like to know more about the Leach family connections that you found for Diza, as I have information on that family in my files, all gleaned from the NC Archives while conducting research on my dissertation/book, Unruly Women. On my home page of Ancestry DNA there is shown a potential new discovery from my DNA. It indicates that I am probably connected in some way to Archibald Leach (1792-1890) born in Scotland, died in Moore County, NC. Some of his chidren stayed in Moore County, but others went to Montgomery County. Three of his sons died in the Civil War. At least 3 of his sons who moved to Montgomery County remained there all their lives. One was Angus Patterson Leach, who founded the town of Star, and was a well respected merchant and civic leader. He seemed to be a very moral person from his writings that I have followed. Another son of Archibald appears to have lived just east of Troy, in the same area where Wilson and Diza lived at that time. His name was Alexander Patterson “Sandy” Leach. He was a Justice of the Peace, and even has his name attached to some records of Wilson and Diza, in particular Wilson’s military appeals to the conscript officials. I have a strong hunch that Alexander Patterson Leach could be Sampson’s father. The third son I know that moved to Montgomery County was Duncan Leach. He died several years before Sampson was born, so couldn’t be his father. It is interesting to note though, that Duncan had a son named Archibald D. Leach, who married Calvin McQueen’s cousin Elizabeth, who was living with Wilson and Diza in the 1860 census.